Absolutely. Our technician can accept and process all major credit cards on-site upon completion of the job. Are the cleansers you use safe for my family and pets? At Pro, we only use environmentally- friendly and hypo-allergenic chemicals in our cleaning process, compliant with both OSHA and the EPA. Additionally, the pre-sprayed cleansers are extracted during the steam cleaning, leaving behind only a clean, slightly damp, and chemical free carpet. The drying process will generally take 4-6 hours to be completely dry, depending on such factors as humidity and type of carpet. Carpet that is extremely soiled and stained, however, may require more extensive cleaning, which may prolong the drying period somewhat. The carpet can be walked on in the meantime. Our technicians are instructed to always "double-dry" (make an extra pass with the vacuum wand) to speed the drying process as much as possible. Are there any "hidden" costs or fees? No. 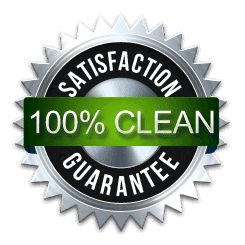 When you call for a quote and to schedule a cleaning, you will be asked specific questions as to what you need cleaned, number and size of the rooms and areas to be cleaned, how many pieces of upholstery to be cleaned, etc. This is done so we can give you an accurate quote without any unpleasant suprises. Upon arrival to your home or place of business, our technician will do a walk- through with you to ensure that the quote was accurate, and cost of the cleaning will then be agreed upon before the work begins. Do the other products you offer, such as SCOTCHGARD® Fabric Protector, really work? Absolutely! SCOTCHGARD® is the most recognized name in fabric protection for good reason. SCOTCHGARD®, when properly applied by a professional, adheres to the fabric of your carpet, forming a protective barrier. This barrier prevents soils and staining from becoming permanent, allows for more effective spot treatment and cleaning, and greatly extends the life of your carpet. Due to liability concerns, we typically do not move large furniture (i.e. sofas, dressers, beds, etc.). Small items such as end tables or dining room chairs can be moved, as well as anything else, within reason, that the technician feels necessary to ensure a quality job. "Steam cleaning" is a generic term for the cleaning process known as hot water extraction. The hot water extraction method is the spraying of heated water (our machines heat the water to 230 degrees) into the carpet while simultaneously vacuuming the water as well as any dislodged and dissolved dirt. Most carpet manufacturers recommend professional hot water extraction as the most effective carpet cleaning method.